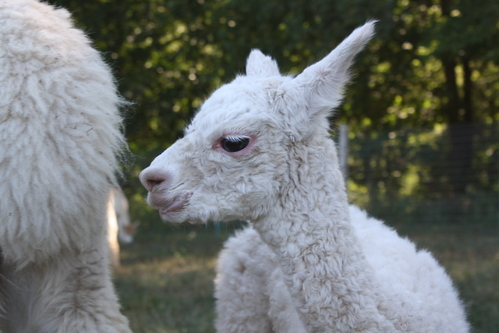 Trina is a beautiful full Peruvian/half Accoyo female from the famous Accoyo America breeding program! 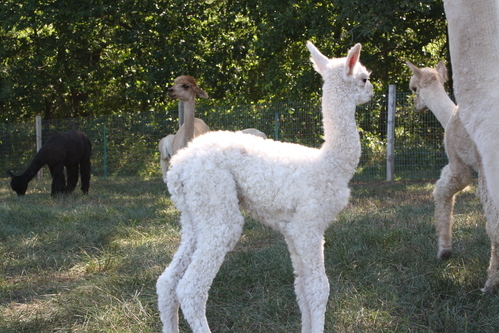 She has genetics that match her solid conformation and beautiful fiber. She carries the impressive lines of Vengador, Camilio, and Hemingway. At 6 years of age, maintaining a 23.9 low micron fleece and a fabulous breeder and mother she will enhance anyones breeding program! Snowflake is a 3/4 Accoyo, Full Peruivan beautiful foundation girl. With Vengador, Camilio, Hemingway, Caligula, Victor bloodline. Loves to give lots of kisses. She will make a great addition to our breeding program as well as yours.